And continued his attacks on the federal investigation into his campaign team? And that’s all in just the last two weeks. Forget ideology or party — what would you think of that foreign leader? What about his government? Is it promoting freedom and essential values? Is it leading the world or has it become a pariah? And does it have moral authority? Of course, the leader we’re talking about above isn’t a foreign leader. It’s the president of the United States. And Republican lawmakers should consider the thought experiment above. Who are they standing with — as they did yesterday? 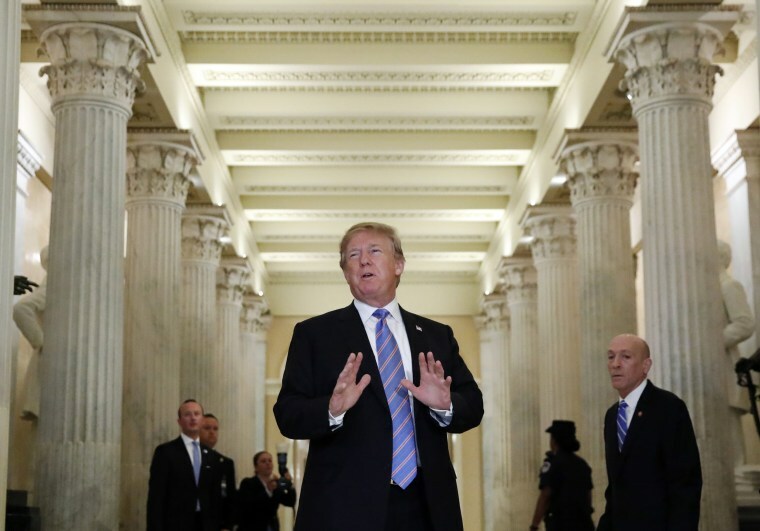 It has become harder and harder to have it both ways: to applaud the president, but say they disagree with him on the separation policy, on his tariffs and on his attacks on fellow GOP lawmakers like Mark Sanford. The Washington Post: “Rep. Mark Sanford was at the airport in Charleston, S.C., for four hours of ‘airplane hell’ when President Trump veered from his speech on immigration to the South Carolina Republican. ‘I want to congratulate him on running a great race!’ Trump said sarcastically, to awkward silence from more than 200 of his Republican colleagues. Members of Trump’s party have to figure out how much more they can take and defend. It’s no longer about party. Can you really keep saying “But Hillary Clinton” or “But Gorsuch”? Is anyone going to say, “But America…”? But here’s a reminder: Parscale is one of the key players in the 2016 Trump campaign who HAS NOT been interviewed by Mueller’s team. So he’s part of a club that includes Roger Stone, Paul Manafort, Donald Trump Jr. and Michael Cohen. All of them met with Congress, but not Mueller — hinting that they could all be targets. Trump heads to Duluth, Minn.
President Trump travels to Duluth, Minn., where he participates in a roundtable discussion on “protecting American workers” at 6:05 pm ET, and then where he holds a “Make America Great Again” rally at 7:30 pm ET. This will be the president’s first campaign-style rally since his administration’s policy of separating migrant children from their families turned into a nationwide story.